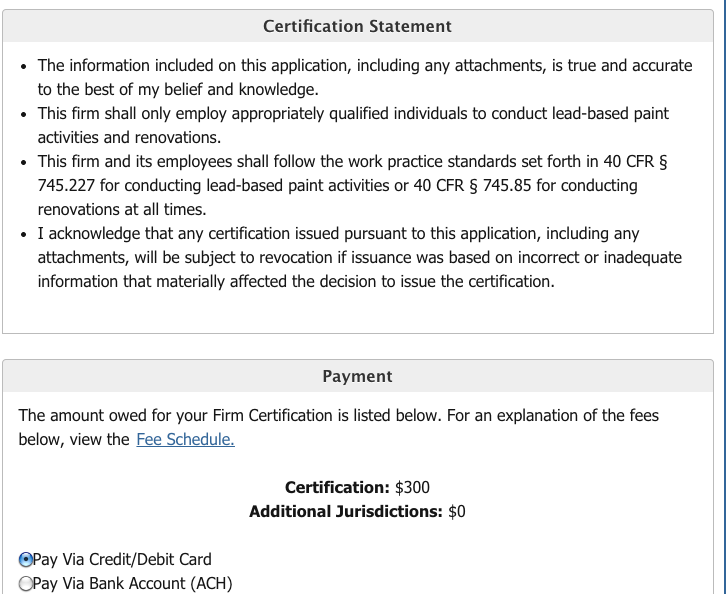 Your Source for Information on the EPA Lead-Safe Firm Certification Process. 4. The next screen will prompt you to create a user profile. 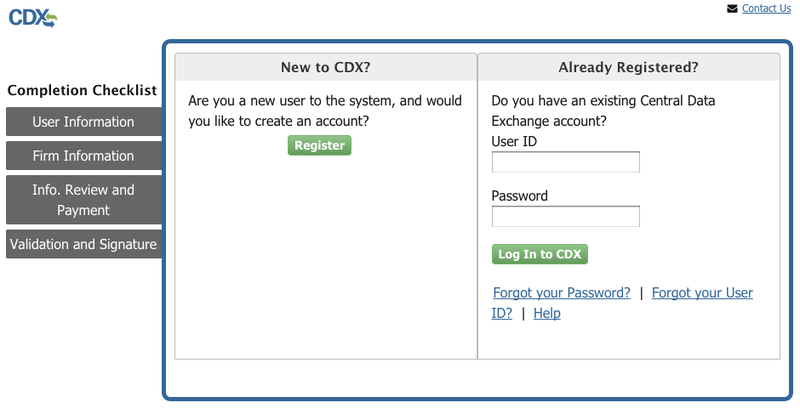 Enter your personal information and set up your CDX account. 5. Next you will see the screen below. 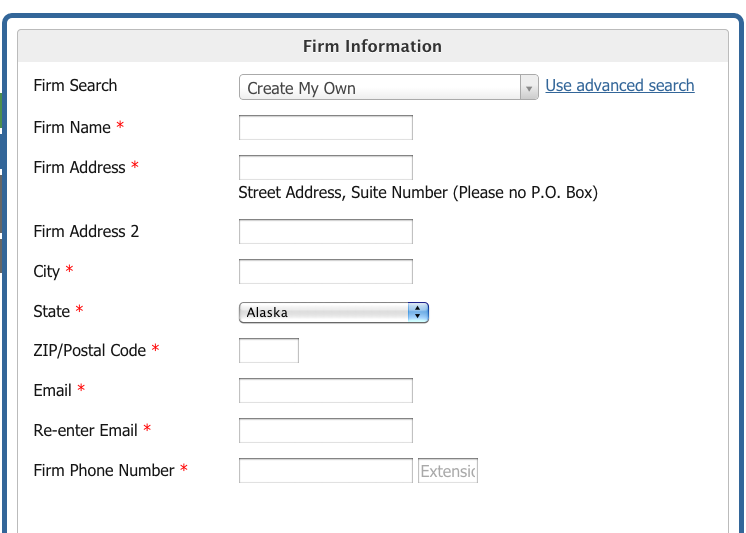 Search for your Firm Name, and if it does not exist in the system yet select “Create My Own”. 7. The following screen will prompt you to enter payment information to pay the $300 certification fee via Credit/Debit Card or ACH Withdrawal. 8. The final step to to attest to the information you have provided in your application, and digitally sign and submit your information. You will receive a confirmation email from the EPA/CDX with your receipt. 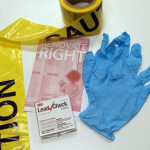 Within 90 days, the EPA will review your application and mail you a Certified Lead-Safe Firm Certificate. For technical issues with the CDX system, call 888-890-1995.